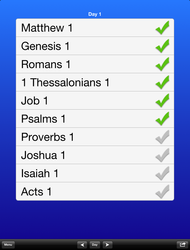 Bible 10 is for those that are reading their Bible using the Bible Reading System invented by Professor Grant Horner. 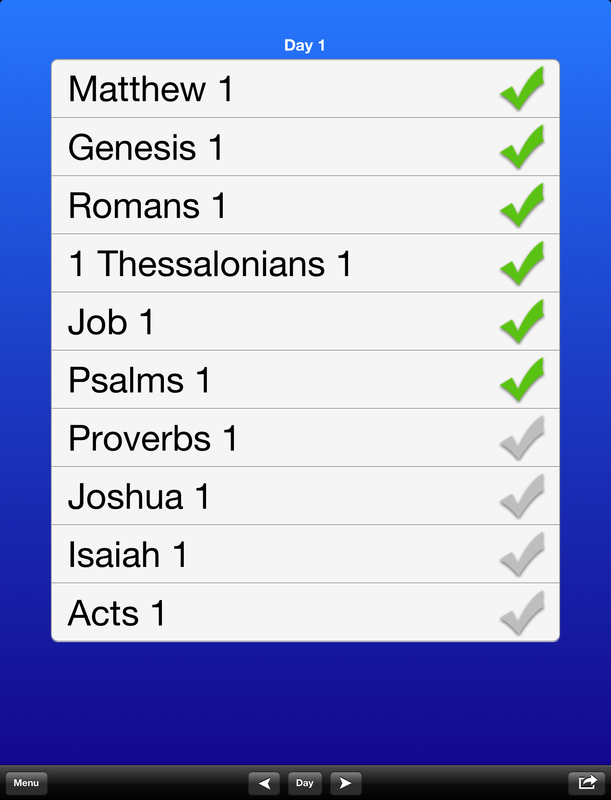 The system has you reading ten different chapters per day from your Bible. While others have invented bookmarks for you to stick in your Bible, many don't have just one Bible or may not carry it with them. With this app, you'll get the convenience of digital bookmarks that help you keep track of what chapters you've read and what day you are on. The Horner Bible Reading System is not based on specific dates, so you can start Day 1 whenever you want: we recommend today! 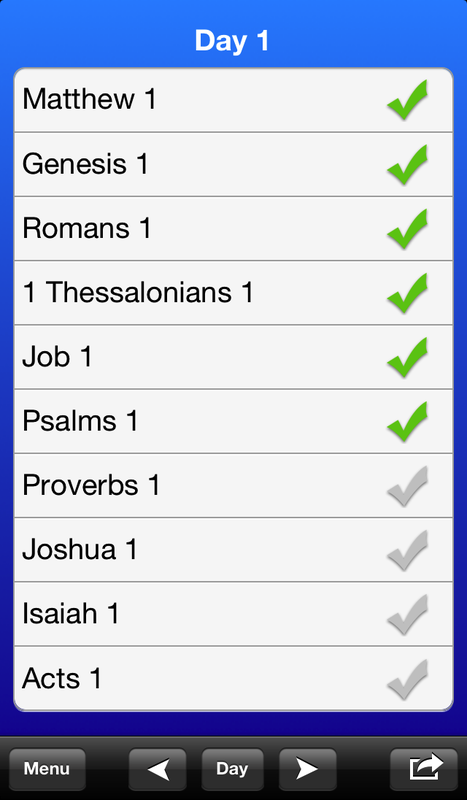 We hope that you will benefit from this app and that it will help you read through your Bible every day. Please share this app with your friends, and make sure to rate and review it. Also, let us know what features you'd like to see in the future updates via the "Provide Feedback" link in the menu of the app. "I have more wisdom than all my teachers, for thy testimonies are my meditation." Psalm 119:99, right-hand page, left-hand column, dead center of page. Many people ask me how it is that I know precisely where virtually *everything* is in my Bible. The answer: this system. I began in 1983 (adapting and tweaking the basic design of another system) as a brand-new convert; within 3 years I knew the text of my Bible very well. Twenty-five years later it is essentially imprinted on my mind and heart. I have been all over the country and have taught this system in many churches. I have done open-microphone Q&As on Bible and theology -- with 1200 people in the audience -- as well as cultural-analysis live radio shows where you have to think fast -- and it has been the "imprinting" value of this system that has helped me provide quick, clear, heavily contextualized scriptural answers (I Peter 3:15; right-hand page, right hand column, 1/3rd way down). I have no Seminary degrees, no Bible-college or Christian school education -- hey, I never even went to Sunday School (the first church I went to, just months after my conversion, threw me into Sunday School-- to teach!!! *BIG* mistake, by the way...) All I DID have was a chair, a lamp ... and my Bible. This is *not* merely a speed-reading program, nor is it a 'study' system. Read the 1-page description provided here to see how it works. (I'd also recommend you look at my first few posts in the Discussion Board 'Starting Up' below as well, for more thoughts.) DO NOT be intimidated! I was a college drop-out, ex-heavy-druggie when I started it. If I can do it, so can you! Each day you will read one chapter from each list, in order. THAT'S RIGHT -- *TEN CHAPTERS PER DAY*!!! 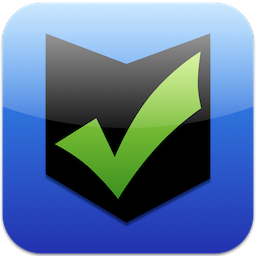 Use ten bookmarks or sticky notes with the individual lists on them to keep track of your locations. On day one, you read Matthew 1, Genesis 1, Romans 1, and so forth. On day 2, read Matthew 2, Genesis 2, etc. On day 29, you will have just finished Matthew, so go to Mark 1 on the Gospel list; you’ll also be almost to the end of 2nd Corinthians and Proverbs, you’ll be reading Psalm 29 and Genesis 29, and so forth. When you reach the last chapter of the last book in a list – start over again. Rotate all the way through all the Scriptures constantly. Since the lists vary in length, the readings begin interweaving in constantly changing ways. You will NEVER read the same set of ten chapters together again! Every year you’ll read through all the Gospels four times, the Pentateuch twice, Paul’s letters 4-5 times each, the OT wisdom literature six times, all the Psalms at least twice, all the Proverbs as well as Acts a dozen times, and all the way through the OT History and prophetic books about 1 ½ times. Since the interweaving is constantly changing, you will experience the Bible commenting *on itself* in constantly changing ways -- the Reformer's principle of 'scriptura interpretans scripturam' -- 'scripture interpreting scripture' IN ACTION! After you’ve read any particular book once or twice, your speed in that book usually *doubles or triples* because you’re familiar with it and can move quickly and confidently -- because you are no longer merely decoding the text but thinking it through in the context of all of the scripture! Acts 20:27. Even an ‘average’ reader, if focusing on moving through the text, rather than trying to figure everything out, can usually do this in about an hour a day – 5-6 minutes per chapter. If it is taking you longer, then you are ‘reading wrong’ – stay relaxed, focus, and just keep it moving. Moderate but consistent speed is the key. This is "gross anatomy" -- looking at the whole body; you're *not* closely studying organs or systems or tissues or cells -- it is *not* microbiology. BUT -- microbiology and the study or organs makes more sense when you know what the *whole* structure of the human body is like, and how all the parts, large and small, relate in perfect interdependence. After just a few days the reading gets *much* easier; in a month it will be a habit, and in six months you’ll wonder how you ever survived before on such a slim diet of the WORD. And then -- you'll tell others to start the system! When I was flown out by Masters for a 3-day interview/theological-grilling process, the culmination was of course being ushered in to Dr. John MacArthur's private study, which is where he asked me this one question: "Can I see your Bible?" I thought he would be horrified, because it looked like it had been through a typhoon -- it looked unloved and neglected. Something from a dumpster. It was unbound, with stringy mess and paper debris hanging out. I was so embarrassed. I thought he would chastise me and recommend I get a new study Bible if I was serious about the Word. (No doubt which study Bible he would recommend!!!) He flipped through it and handed it to his wife and said "If your Bible is falling apart, you probably aren't." I was basically hired on the spot. If you are wondering why you should read Acts (or Proverbs) all the way through *every single month* then -- you've just shown that you NEED to read them that much! • GET THROUGH THE TEXT – no dawdling, back-reading, looking up cross-references! The goal of this system is simple, and twofold: To know scripture, and to love and obey God more!